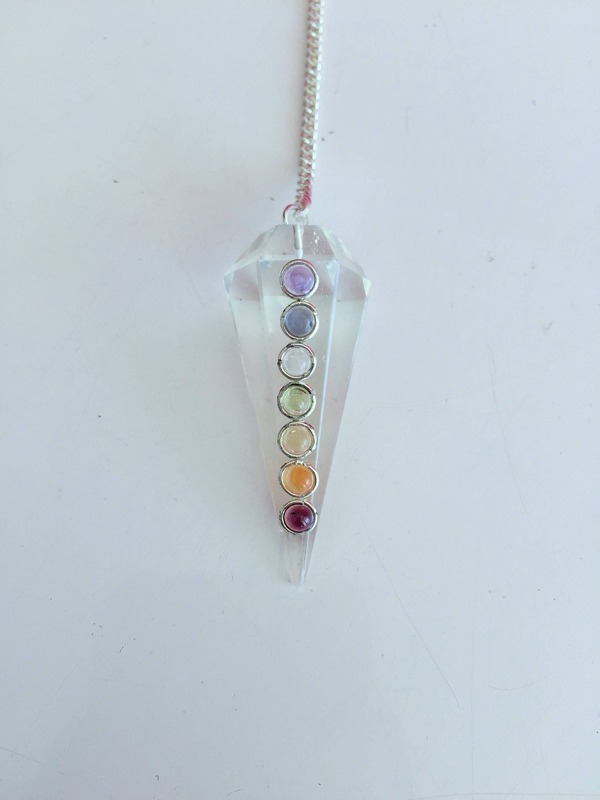 Receive this beautiful CHAKRA Pendulum Necklace Jewelry SET. 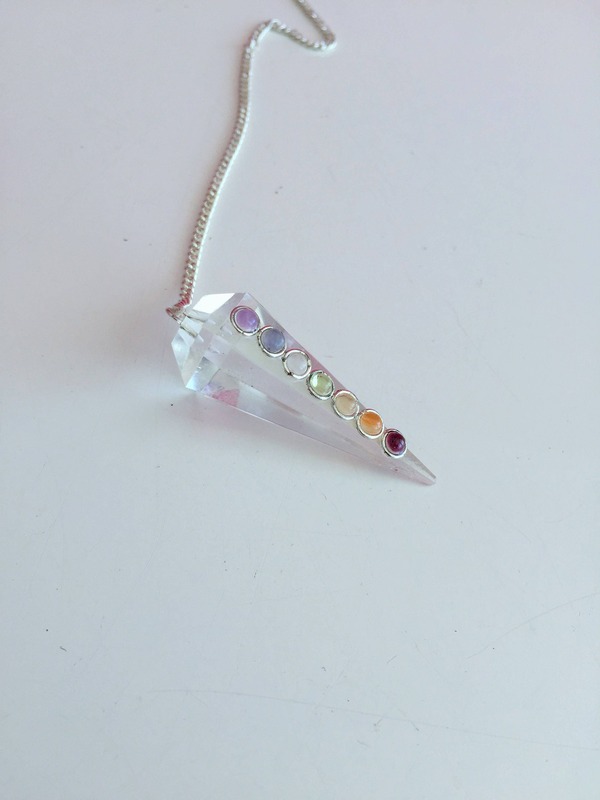 The pendulum comes with 7 chakra cabochons decorate the front as seen in the pictures. Clear Quartz is the most powerful healing and energy amplifier on the planet because of its unique helical spiral crystalline form. It absorbs, stores, releases and regulates energy and is excellent for unblocking it. When acupuncture needles are coated in Quartz, the effects increase by 10 percent. Better communication would be greatly appreciated. I sent a picture of what I was needing replaced because size was too big. Seller approved exchanged and months later after being told that my shipment was getting sent that day I find out now seller doesn’t want to refund my full money or send my replacement item as agreed. If this was the case I would have never sent my item back for an exchange. So disappointed!